Our long-time artistic director and rehearsal and performance leader is noted organist, conductor, and composer, William McCorkle. Mr. McCorkle is a graduate of Phillips Exeter Academy and of Amherst College, where he also served as the first graduate Teaching Fellow in Music and as Acting Director of Choral Music. In Paris, he studied with legendary composer, conductor, and teacher, Nadia Boulanger, on a two-year fellowship. 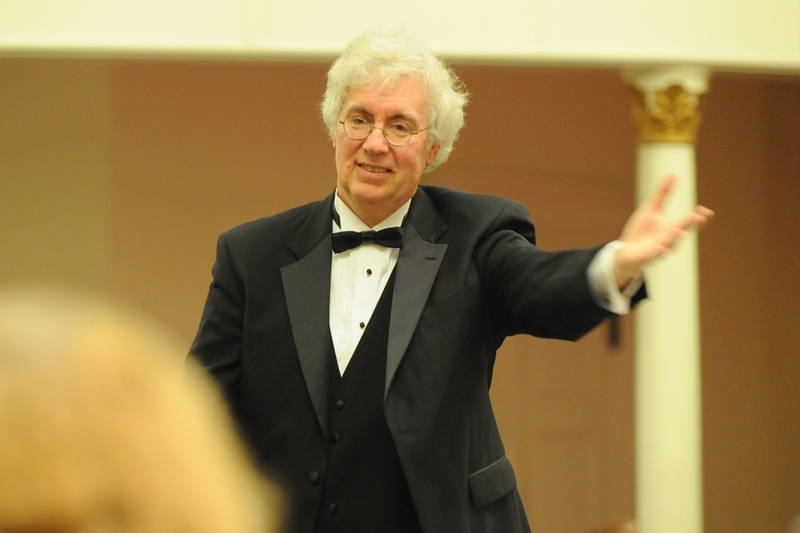 He has led the Rockbridge Choral Society in critically acclaimed performances of Bach, Handel, Haydn, Mozart, Mendelssohn, Brahms, Schubert, Purcell, Britten, Poulenc, Durufle’, Honegger, and Copland, as well as opera, folk, and popular music. He has raised the level of the group’s musicianship and presented repertoire that continues to expand and deepen our community’s appreciation for the art of choral music.